Now, if you’re feeling as though you’ve heard this tale before, it’s because you have – and it was pretty weak the first ten times. But before we get into the documents themselves, reporters and the public should know who CIEL actually is: yet another Rockefeller-funded key player in the #ExxonKnew campaign. 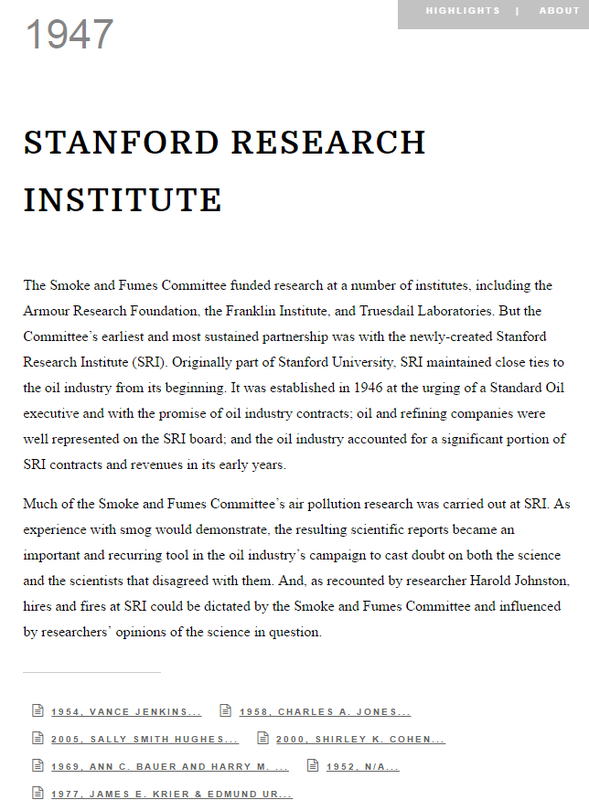 CIEL’s President and CEO Carroll Muffett sits the board of the Climate Accountability Institute, which co-hosted the now infamous La Jolla conference in 2012 where activists brainstormed how they could use racketeering laws to prosecute ExxonMobil. He was also one of the participants in that closed-door meeting at the Rockefeller Family Fund offices where activists strategized on how they could establish “in the public’s mind that Exxon is a corrupt institution.” Prior to joining CIEL, Muffett worked for a number of activist organizations including Greenpeace and the International Conservation and Defenders of Wildlife. He recently joined activists such as Naomi Oreskes, who wrote a book that attempts to tie ExxonMobil to Big Tobacco, at a recent forum on Capitol Hill held by members of Congress sympathetic to their campaign. Matt Pawa, the activist who made himself famous for briefing the attorneys general ahead of their March 29th press conference with Al Gore, is on the CIEL board of trustees. Considering this, it’s no surprise CIEL is in cahoots with all the key players of the #ExxonKnew campaign, even quoting the likes of Matt Pawa and Peter Frumhoff of the Union of Concerned Scientists (who also briefed the AGs before their press conferences) in their first press release. Sharon Eubanks, who was involved in the tobacco litigation, Bill McKibben of 350.org, and Annie Leonard of Greenpeace also got to have their say. In other words, this is the same old gang that can’t shoot straight. CIEL further claims that these documents “remain under seal,” completely ignoring the fact that the Tobacco Archives provides access to 26 million pages of documents that are scanned and available in an online, searchable database. That’s all part of the problem that the #ExxonKnew camp continues to have: they waffle back and forth on whether these documents were “secret” or not – they just can’t decide. Re-releasing old material is nothing new for this group. In fact, CIEL has been getting so little attention on its #ExxonKnew materials that it simply relaunched the same database it released in April again in May in an effort to get news hits. They managed to dupe some outlets into reporting on their already-launched material – let’s hope reporters don’t make that same embarrassing mistake again. If they do, they should at the very least disclose who is funding CIEL and indeed the entire #ExxonKnew campaign. With this latest stunt underway the big question is: what silly narratives will they come up with next? Exxon-Valdez caused by climate “denial”? ***Note: EID will be updating this post as more information becomes available tomorrow on the full rollout by CIEL.